Banking on the skills of our professionals, we are offering a quality assured assortment of Cooling System Water Pressure Pump. The Stainless Steel Vertical Multistage Pump is widely demanded for its sturdiness and quality. Besides, these products are available in the market at reasonable rates. 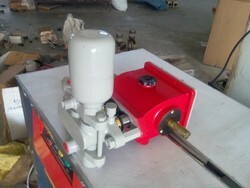 We offer to our customer a wide range of Pressure Water Pump. 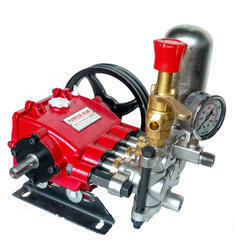 Being a prominent firm in this domain, we are engaged in offering a distinguished assortment of Pressure Water Pump. Being an eminent organization in the industry, we are involved in providing a premium quality range of RO Water Pressure Pump. We are exporting and supplying high quality range of Process Pump It is used for pumping liquid from lower pressure to high pressure in various industries. These pumps fulfill the needs of commercial and industrial sectors. This gives the product efficiency and long trouble free operating life. We supply these pumps to our esteemed clients at competitive prices in the market. With a far sighted vision, a keen perception of the market trends, we are actively engaged in offering quality assured Vertical Pressure Water Pump.